Solomon, The Prophet asks God to grant him the ideal kingdom, that promised paradise which won’t be given to anyone until the world comes to the end! But to reach this, he should face the world of the devils (jinns and Satans), their materialization and the imminent and cruel war with them. The Film is mostly based on the Islamic accounts of Solomon prophetic life extracted from the Holy Quran. 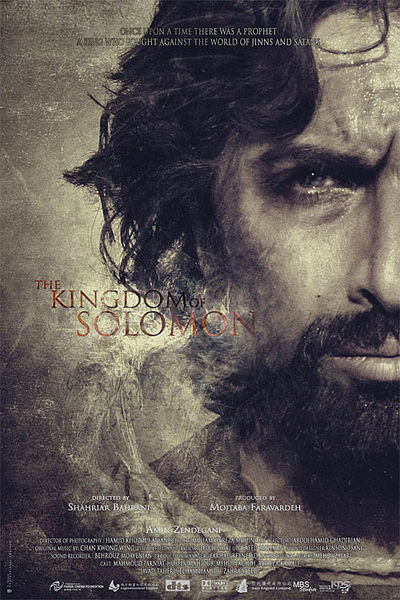 To Conclude, The Kingdom of Solomon is a Full Action packed movie that shows how the prophet Solomon Fight with Jins and Satans and take control over them. Watch the Making of the Movie. Wallpapers of Kingdom of Solomon. Picture Album of Kingdom of Solomon. 5 awards at The 28th Fajr Film Festival 2010. Besides these there are other awards and acknowledgements too . Join the BLOG for more information on Islamic movies.